LONDON 2012, Usain Bolt & the Asiatic cockroach(Homeopathic medicine Blatta Orientalis). What on earth do they have in common? London 2012 Olympics was quite spectacular and a showcase for the world’s finest athletes. I was one of the lucky ones to have been there during that time and although I couldn’t get a ticket for the athletics, I was happy to attend a weightlifting event. More than anything else the Olympics brought out the very best in people, not just in those who took part, but those attending to watch the events. 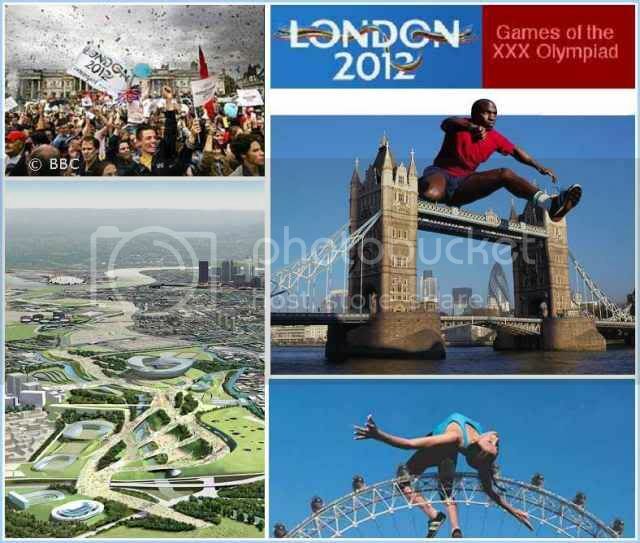 The volunteers and members of the public made London 2012 fantastic. Now my husband wouldn’t describe me as a great sports fan, nor would my friends, but even I would have loved to have seen Usain Bolt, Mo Farah and Chris Hoy compete live in their events but, like many, I had to make do by watching them give their all on the TV. Sadly, television cannot really convey the speed at which these people can run/move their legs; they must literally be going like the clappers! Actually, I think one could blink and miss Usain run his 100 metres. 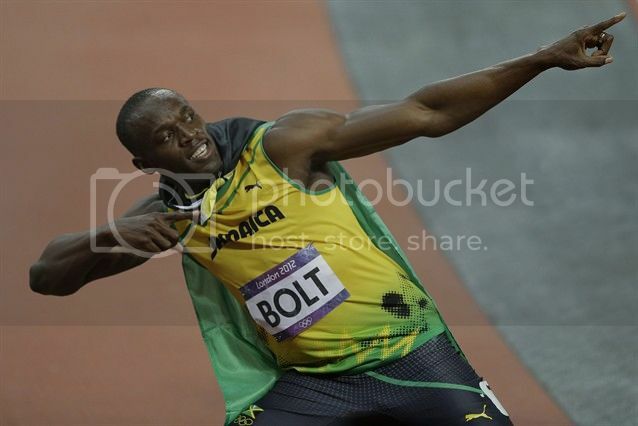 The fastest man on earth gone in a blink! 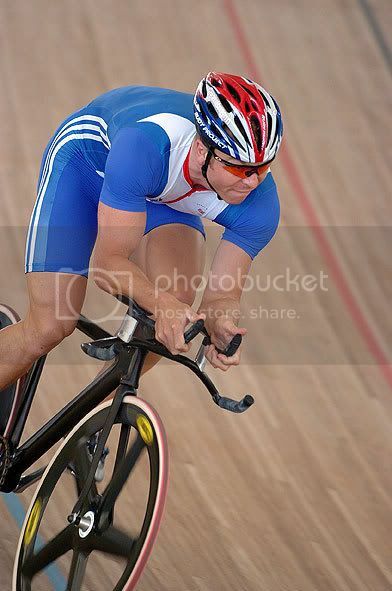 Whilst watching Chris Hoy cycling, I thought if the electricity supply should fail during the stadium illuminations, which were exceedingly impressive, they could always use his legs to power the generator! 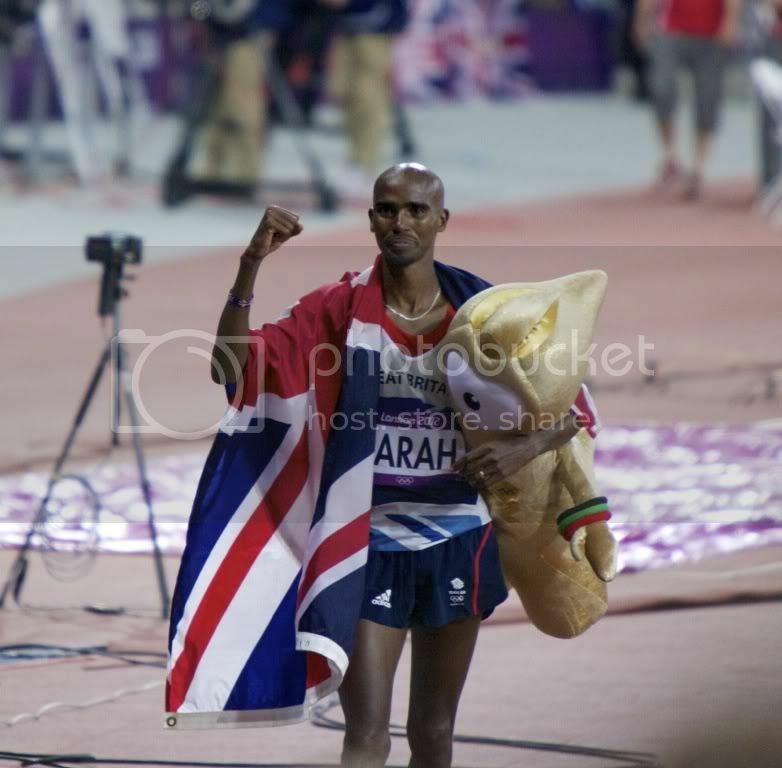 NOW WHAT ON EARTH HAS THE ASIATIC COCKROACH GOT TO DO WITH USIAN BOLT & LONDON 2012 …..........YOU MAY BE WONDERING? Firstly, Usain Bolt has a lovely face, is very tall, slim and super fit, and as far as I am concerned, when it comes to running, is in the supersonic speed category. However, the Asiatic cockroach, on the looks front, is ugly (unless of course you are a fellow Coc), has disgusting habits (just loves decaying organic matter, sewers & drains) but in common with Usain shares the supersonic speed category, in the bug world of course. Try and catch one of these critters when they decide to pay a night visit to one’s bedroom…..now that’s something else! Swatting the Mozie is one thing, but swatting the Coc, is something else! Usain Bolt ran the 100 meters in 9.58 seconds, a Coc can move 12 feet per second (approximately 3.7 meters per second, about a third of the speed Usain, blame my husband if the math is wrong, not me), no mean feat for a relatively small bug, well, not that small, compared to some! The male Asian Coc can fly; after all, it has to have something positive over Usain! If there was a Bug Olympics, the Coc, would be a main contender for the Gold! It could compete in two events, running and the long jump! I have a kind of love/hate relationship with the Coc. Having lived in the Tropics, they are never far away. If you don’t like bugs, large or small, then perhaps a visit to the Tropics is not for you. They are part of life and the people who live there permanently just have to get used to them. A case of like it or lump it, after all, what else can they do. Even when I lived in a 9th floor apartment in Colombo, Sri Lanka, I was amazed at how those critters could make it to the 9th floor. One can be above the Mozie line, but height, certainly doesn’t put off the Coc. I wouldn’t be surprised, if it was hot enough in the UK, they would find their way up to the top of the Shard in London! One has to admire their tenacity to succeed in making it to the 9th floor, if nothing else. This critter posed for me on my balcony, possibly thought he was in the pink! The tenacity required by the Coc to get to the 9th floor must equate to that of Mo Farah who runs 120 miles a week! During their nightly visits the speeds at which a Coc can move makes trying to crush one nigh impossible. They seem often to survive a blow from a shoe, or perhaps. I just don’t have the technique…… hummm. I should consider taking up hammer throwing! Further, I am convinced they have some form of armour plating which, most probably, would allow them to survive a nuclear attack. In Sri Lanka they quite often get ‘morteined’, Mortein is a rather nasty spray, not good for the Coc, nor, for that matter, humans either. One sprays the Mortein with great care. I feel sure that they are adapting to that as they don’t run out of steam that quickly! During my visit to India with Dr Shanthakumar, we visited Homco, a large, Homeopathic medicines manufacturer, based in Allapuzah (Alleppey) in the state of Kerala. On our tour of the plant Dr Suresh, the Chief Pharmacist, I came across a very large stainless steel container of very dead Cocs in pure alcohol. Me being me and forever inquisitive, I most definitely checked that they were very dead! This large container would be used to make the Homeopathic medicine – BLATTA ORIENTALIS! NOW FOR THE FACTS ABOUT DEAR OLD BLATTA! BLATTA ORIENTALIS (Asiatic Cockroach) is a common insect found in the Tropics. You can be very sure where there’s humidity you’ll find them and, believe me, there are plenty! It is a large species of cockroach measuring 1 to 2 inches in length. It is a dark red brown to black in colour and has a glossy body. The female has a somewhat different appearance to the male (not unusual!) appearing to be wingless at a casual glance but actually has two very short and useless wings just below the head. The male has long wings, can fly, and I can certainly attest to that. It may only be for a couple of meters but hey ho, that’s enough. It is slightly darker in colour and has a more narrow body - nice & trim like Usain! HABITAT – Often found around decaying matter, in sewers, drains and any other damp locations…..lovely!!! Blatta Orientalis patients have a tendency to catch cold, as well as sensitivity in the bronchi, which are easily irritated and inflamed. The patient would often start with a common cold which develops in to severe bronchitis and coughing; this in turn creates respiratory problems, which eventually turns into chronic asthma. It was found accidently to relieve asthma in a patient who took tea in which the bug had been infused. Professor George Vithoulkas, a world authority on Homeopathic medicine, states that it has been his experience that aggravation occurs in humid, cold weather, with a smell of mould. In the USA, a 5 year, Multi-million dollar study on the causes of asthma in the inner-city, found that exposure to Cocs was an important cause of asthma related illnesses and hospitalizations among children. Please see www.ncbi.nlm.nih.gov/published/9368259 for information on the study. They could have saved the US tax citizen a fistful of dollars by doing some extra studies beforehand! 1890, was a good year for the Coc, yes, little did that little critter know that it would be doing a great service to mankind other than skulking around the drains & sewers! It was even a better year, for some lucky asthma sufferers! 1890 was also busy for a Dr D. N Ray, of Calcutta, India, who took the time and trouble to publish two papers in the Homeopathic Recorder on his findings. America was also busy that year, as a number of papers from some of their physicians confirmed Dr Ray’s experiences with the medicine. There are no Homeopathic remedies for a disease label, such as Asthma per se, and it would be very fool hardy to think that one could treat oneself with such a condition. Homeopathic medicines are prescribed for the individual, not for the disease label. Acknowledgments to Professor George Vithoulkas, Hpathy.com, the photographers (click on the pictures for their links) that captured some great Olympic moments and last, but certainly not least, the humble Asiatic Cockroach.